Helsinki-Malmi Airport (Finnish: Helsinki-Malmin lentoasema, Swedish: Helsingfors-Malm flygplats) (IATA: HEM, ICAO: EFHF) is an airport in the city of Helsinki, Finland, located in the district of Malmi, 5.4 NM (10.0 km; 6.2 mi) north north-east of the city centre. Until the opening of Helsinki Airport in 1952 it was the main airport of Helsinki and all Finland. Today, the airport is still actively used in general aviation and flight training. It still is the second busiest airport in Finland after Helsinki Airport, as measured by the number of landings. For a long time, the City of Helsinki has had plans to close the airport in order to use the area for construction of new residential zones, but this decision had been debated and deferred for many years. The first land airport of Helsinki, located in Tattarisuo in the township of Malmi, became operational in December 1936. The area is nowadays in the district of Malmi in Helsinki. The airplanes of Aero Ltd (nowadays Finnair) were converted from floatplanes to land-based aircraft without delay and moved to the new Airport along with general aviation aircraft. The functionalist terminal building was completed in 1938 and designed by architects Dag Englund and Vera Rosendahl. The official opening ceremony took place on 15 May 1938. Helsinki-Malmi Airport was among the first in the world to be designed from the beginning as an international airport. It made travel to and from the capital of Finland much faster than before. In the late 1930s, domestic air routes already reached all the major cities in Finland, and in 1940 it became possible to fly even to Petsamo in the far north. The Winter War interrupted civil aviation at Malmi, and the Airport was taken over by the Finnish Air Force. Civilian traffic was moved to other airfields. In the Continuation War both civilian and military traffic used Malmi Airport. When the Continuation War ended in September 1944, the Airport was taken over by the Allied Control Commission. It was returned to the supervision of the Finns at the end of 1946. During the war, bigger and heavier aircraft had been developed, and after the war the aircraft industry and commercial aviation business flourished. Malmi Airport was confronted by a new situation. It became evident that the runways, built originally on a deep layer of clay and swampy topsoil, would require considerable investment if they were to bear the weight of the new big airliners. Cost estimates showed that extending the runways, adding pilework under them and strengthening them in other ways would be too expensive. The plans were abandoned. A new airfield of international standards was first opened to traffic in 1952 in Seutula, in time for the 1952 Summer Olympics in Helsinki. It is today known as Helsinki Airport. 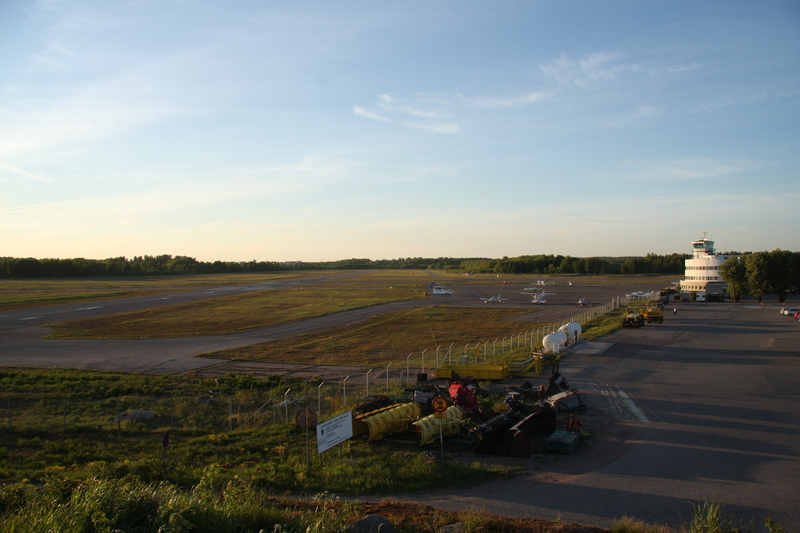 Scheduled traffic gradually moved from Malmi to the new airport. Malmi Airport continued to serve a new category of commercial aviation, charter flights, for many years. Nowadays Malmi Airport is in general aviation use. Professional flying education and professional aviation as well as private aviation and aviation clubs operate there. 75 to 80 percent of all flights are training flights, and in 2002, 50 percent of all pilots in Finland and two out of three professional pilots were trained there. The Finnish Border Guard had its air base there until the end of 2016, when the State moved all its operations elsewhere (about 14% of Malmi’s operations). In special circumstances, Malmi Airport also acts as a backup airfield for Helsinki-Vantaa for lighter passenger aircraft. From the point of view of air traffic, Malmi Airport is the only free-schedule international airfield for lighter traffic within 150 km of the capital (Helsinki-Vantaa International is the only coordinated airport in Finland, i.e. it does not serve non-scheduled traffic without a runway slot application that must be filed hours in advance). In 2013, about 7.500 landings of flights between Malmi and other airfields were logged just among Malmi’s own flight operators, making Malmi the second-busiest airport for cross-country flights in Finland. Malmi Airport is also popular among people who like outdoor exercise because its environment offers natural scenery and a nature path encircles the airport area. The aviation shows and other public events taking place at the Airport draw tens of thousands of spectators every year. The exceptionally well preserved pre-World War II aviation milieu of Malmi Airport has also received international recognition. It has been selected to the worldwide List of 100 Most Endangered Cultural Sites 2004 by the World Monuments Fund, and re-selected to the 2006 list. The Airport is also included in the Finnish selection of the international DoCoMoMo Workgroup dedicated to cataloguing and preserving buildings, monuments and sites of the modern movement. On 16 March 2016, Europe’s leading cultural heritage organization Europa Nostra and the European Investment Bank Institute selected Malmi Airport as one of the seven most endangered cultural heritage sites in Europe 2016. The future of Malmi Airport is uncertain, as the City of Helsinki has plans for housing construction on the site. The City’s activity in the matter, which increased substantially in the late 1990s, has since diminished with the ongoing big area building projects and the large land annexation from Sipoo’s Östersundom in 2009. The State of Finland has a legally valid land cession agreement with the City of Helsinki until 2034. The Ministry of Transport and Communications ordered in June 2005 from the Civil Aviation Administration a new assessment of the alternatives and costs. In February 2008, the Ministry of Transport and Communications commissioned an environmental impact assessment (EIA) of the alternative sites. In preparing the EIA, it turned out to be problematic that neither the Ministry nor any other party had a concrete project to build a new airport. The Ministry made in early 2010 a proposal to relevant planning authorities to organise co-operation in carrying out the EIA. Based on the response, the Ministry concluded that the preparation of the EIA will not be continued without participation of the authorities responsible for land-use planning. The question of the future location of the airport will be studied in future regional land use plans. It is likely that Malmi Airport will remain operational at least until the 2020s. 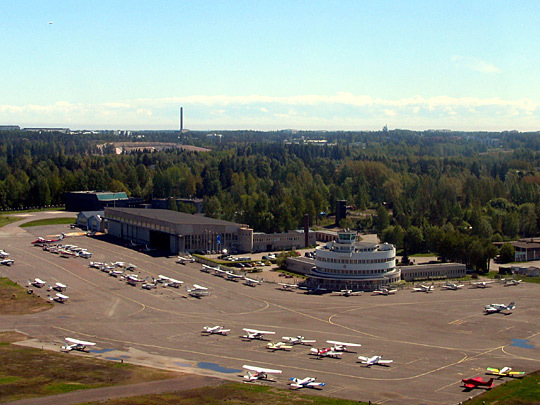 On 25 March 2014, the Finnish government made a framework decision in principle to close down Malmi Airport and hand it over to residential use by the early 2020s. A prerequisite written into the government’s decision is that the Border Guard and civil aviation are transferred to a substitutive airfield. Already in late 2014, the Finnish state-owned airport operator Finavia Ltd sold the State’s properties on Malmi Airport to City of Helsinki, and on 31 December 2016 withdrew its services from Malmi Airport even though a substitutive airfield for civil aviation does not exist. As of 1 January 2017, Malmi Airport as a whole is in the City’s possession and the new operator of its aviation activities is the Malmi Airfield Association with a 3-year tenancy agreement covering about 39 hectares (30%) of the airport’s area. 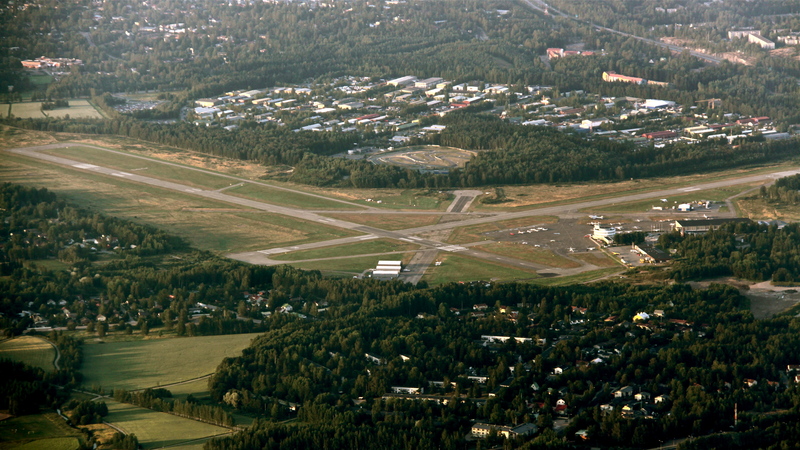 As of 1 January 2017, Malmi serves aviation as an uncontrolled airfield with one active runway (18-36). The citizens’ law initiative «Lex Malmi», supported by more than 56.000 Finns in just two months’ time and calling for keeping Malmi Airport in aviation use by means of legislation, was presented to the Finnish Parliament on 8 February 2017. The aim of the initiative is to secure the future accessibility of Helsinki and Finland by air and to save the internationally acclaimed cultural heritage site.